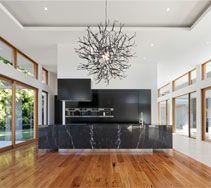 We specialise in manufacturing and installing quality kitchen benchtops, splashbacks, bathroom vanity tops, marble floors & walls, staircases, fire hearths & surrounds, skirting, alfresco BBQ counter tops, Island benchtops with side panels, interior & exterior wall cladding, custom designed dining tables and hallstands and individual designs. Marble & Granite expo provides restoration and maintenance services for all residential, commercial and heritage requirements. 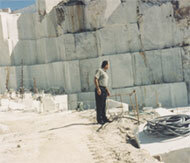 We stock Aqua Mix products suitable for cleaning and maintenance of stone. We have built a reputation since 1977 of providing a reliable and efficient service in the supply, manufacture, installation and restoration of quality natural stone, The combination of our wide range of quality natural stone, professional service and competitive prices have made Marble & Granite Expo a much sought after fabricator of quality stone products for all aspects of residential and commercial applications. Marble & Granite Expo offer only the finest natural and engineered stones to enhance the beauty and ambiance of any home or business. 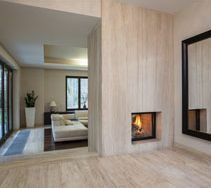 Our creative and experienced staff of professionals has made the family company a leader in granite and marble fabrication for over 30 years.